The moment you’ve been waiting for has arrived. Sage promised to deliver Product Update 2 by mid-July and by my calculations they’ve done just that. 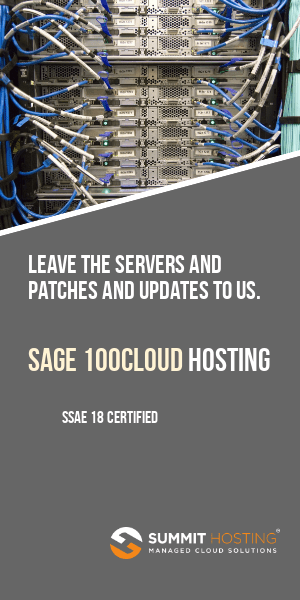 The latest feature update (detailed what’s new) for Sage MAS 90 and MAS 200 version 4.4 is now available in the Sage Online Support Center. To download the latest update navigate online to the Sage Online Support site. If you’re an end user please be sure that you check first with your Sage Business Partner. Naturally, if you have third party enhancements (customizations) you’ll need to make sure that those are upgraded alongside the product update. 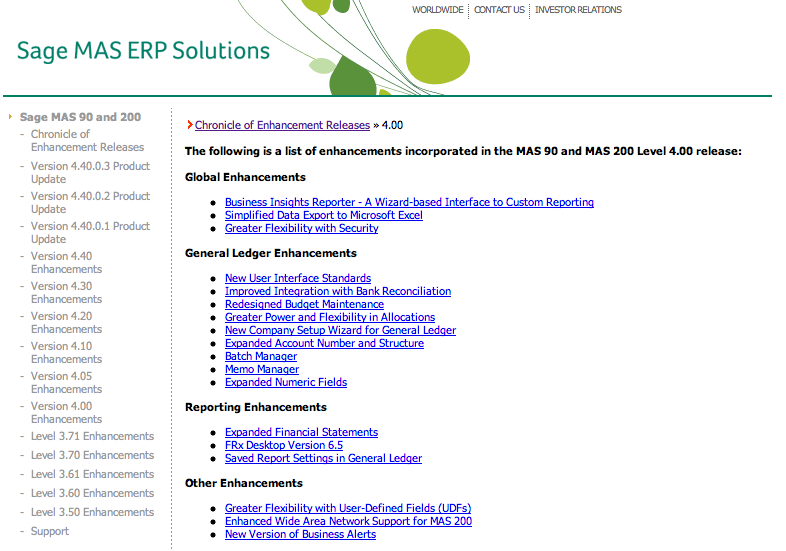 In an email to the consultant channel Sage posted a concise two page list of what new features can be expected in product update 2 for Sage MAS 90 and MAS 200 version 4.4. As you may already know Sage is now issuing more frequent updates through the year as opposed to relying only on annual releases. They believe this will deliver more value for the maintenance that customers pay each year for their Sage MAS 90 and 200. Here’s a copy of the PDF which shows the new features slated for product update 2 which Sage indicates will arrive in late July (that’s code for August).